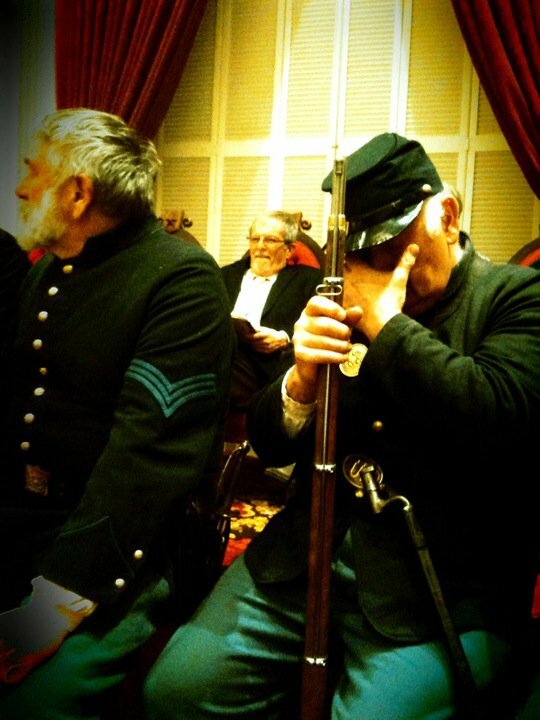 This photograph of Howard Coffin, Vermont’s preeminent Civil War historian, was taken while a mournful song was being sung during a commemoration of the Civil War, and Vermont’s role in it. The re-enactors were moved to tears, as was Mr. Coffin. That modern men could still internalize the pain of loss from a war 150 years gone by is remarkable, and only made more poignant because the Vermont State House is a living Civil War-era museum, renovated and restored to much of its original beauty. 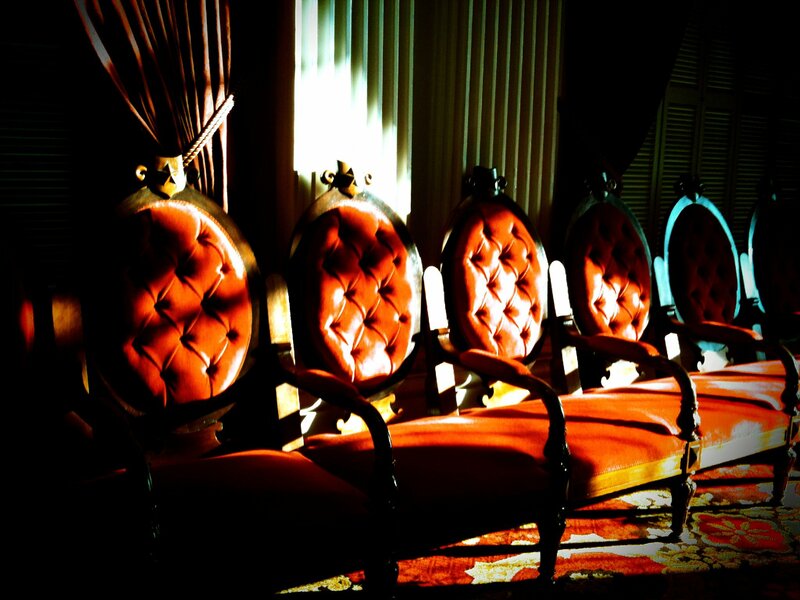 The photograph below is of the Senate seats in the Hall of Representatives, used by state senators when there is a joint session, or by the public when there is not. Many of the photographs I will post were taken over the past three sessions with an iPhone, then manipulated by applications on the phone.